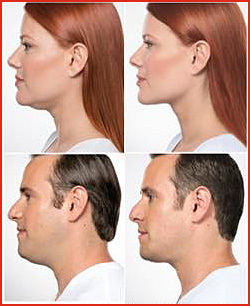 Kybella is an individually tailored treatment that permanently destroys fat cells under the chin. Call to schedule your appointment TODAY! Find the location nearest you! Remove unwanted hair, as well as sun and age spots. Also helps to reduce facial and leg veins. Eliminate wrinkles and gain volume. Get natural-looking results quickly and safely. Achieve a toned, contoured and well shaped body. Dramatic results without discomfort. Providing Beautiful Results for a New You Through & Through! 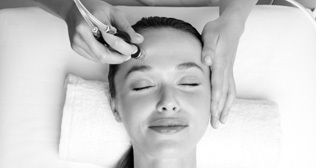 VIP Med Spa & Weight Solutions offers a variety of beauty services including dermal fillers, laser hair removal, skin rejuvenation, body contouring and more. Our highly trained staff will take care of you. Be sure to check out our wellness programs with hormone replacement therapy as well. Weight loss doesn’t have to be a battle. Complex exercise machines, programs that require you commit to precious hours everyday… most of these programs are gone and never heard of again within the year of their inception. VIP Weight Loss Solutions has made a commitment to every person that seeks our help. We have committed to helping what many are calling the battle for life. “Quality of life” has been on the decline for many years. It is accepted that your life should experience a decline in vitality and quality as you age. This is common for many people but it is not normal, and for VIP Weight Loss Solutions, it is not accepted. Why the name VIP Weight Solutions? Because you will feel like a VIP from the first time you meet us. Like any great sports team, any elite athlete, even multi-billion dollar corporations around the world… the one thing they have in common is a coach. VIP Weight Loss Solutions will be your coach. You are treated, respected, and given the utmost care during your relationship with the VIP Weight Solutions team.